Once upon a summer time there was Waiheke Island, a quiet sun kissed tropical paradise in the Hauraki Gulf only 35 minutes on a ferry from Auckland, but really a world away. It really is a gem and in Summer it is especially wonderful. Island time operates over here and everything is just a little slower, a little more in cruise mode. You can feel yourself relax as soon as the ferry sets sail and as Auckland becomes smaller and smaller and fades in to the distance you make the transition to island time. And if you haven't as soon as you drive off the ferry there is a sign to remind you, that simply says "slow down, your here". That sign always makes me smile and heralds a few days relaxing, sunshine, eating, swimming in the ocean, fish and chips, sea breezes and very, very good red wine. 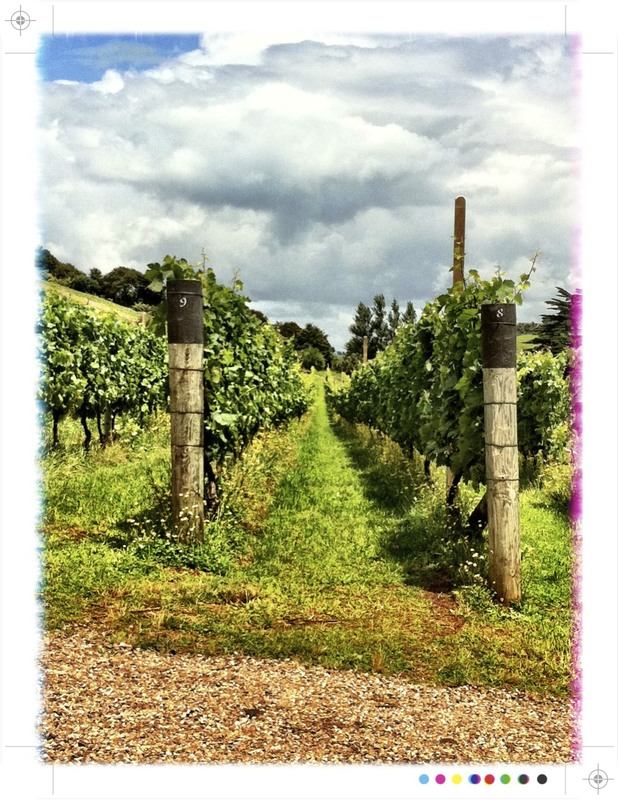 There are now over 20 vineyards on this little island and reds tend to be the stars although there are also great whites and some fabulous roses which are, of course, perfect on a hot summer's day. 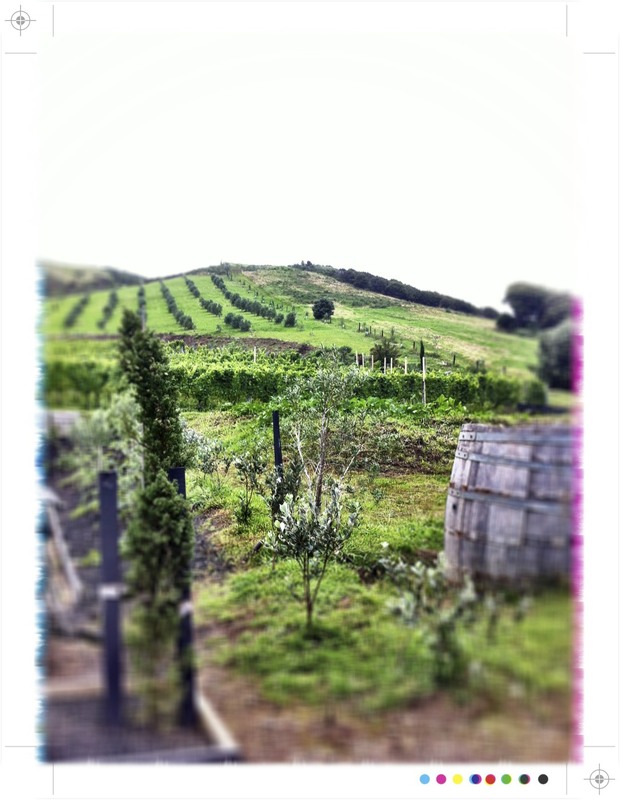 Our first vineyard visit was Te Motu for a little lunch which you can read about here. 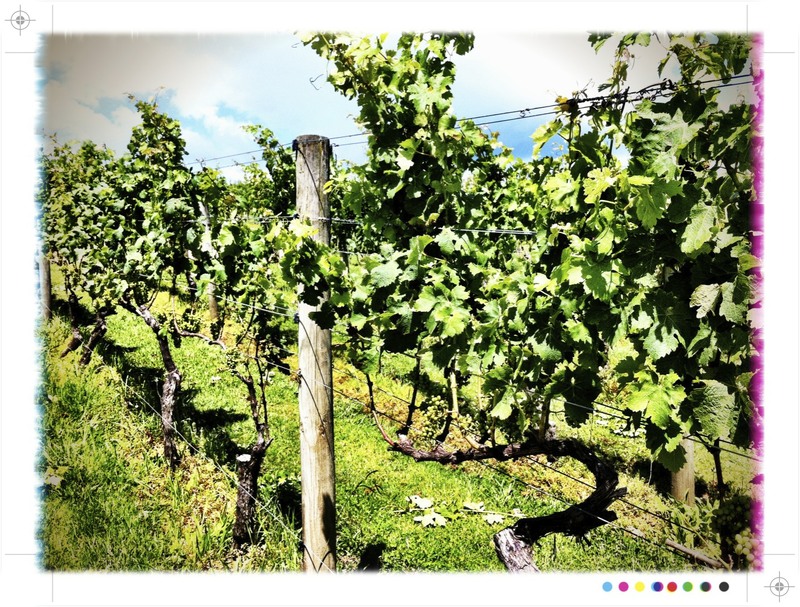 Post lunch and pre dinner just time to pop along to one of my favourite vineyards, Obsidian, which is nestled among the vine covered hills of Onetangi Valley. 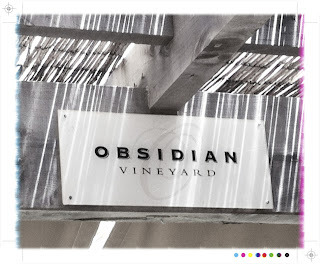 The Obsidian is the flagship wine and is a mixture of cabernet sauvignon, merlot, cabernet franc, petit verdot and malbec delivering a deep, dark wine with notes of plums and cassis. It is quite special. 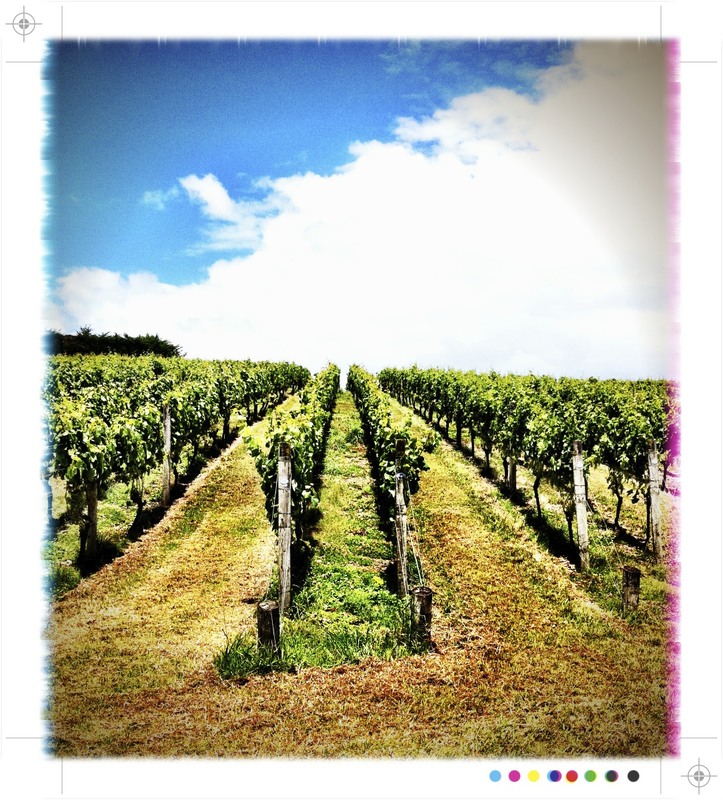 Vines are planted on the four surrounding hillsides, sheltered from the elements, basking in the summer sun and cooled a little by sea breezes blowing in from the Hauraki Gulf. The wine Obsidian is named after a semi-precious stone. 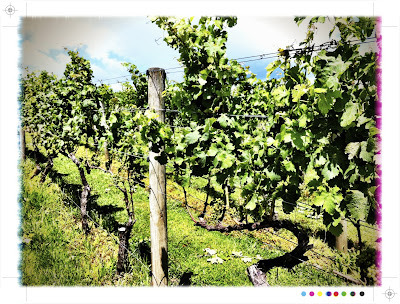 Shortly after buying the vineyard back in 1996 and reading about the history of the areas it was discovered that obsidian was highly valued by the Maori tribes living in Onetangi. The other coincidence is that the deep, dark lustre of the stone was also the perfect way to describe the kind of wine that they wanted to produce. 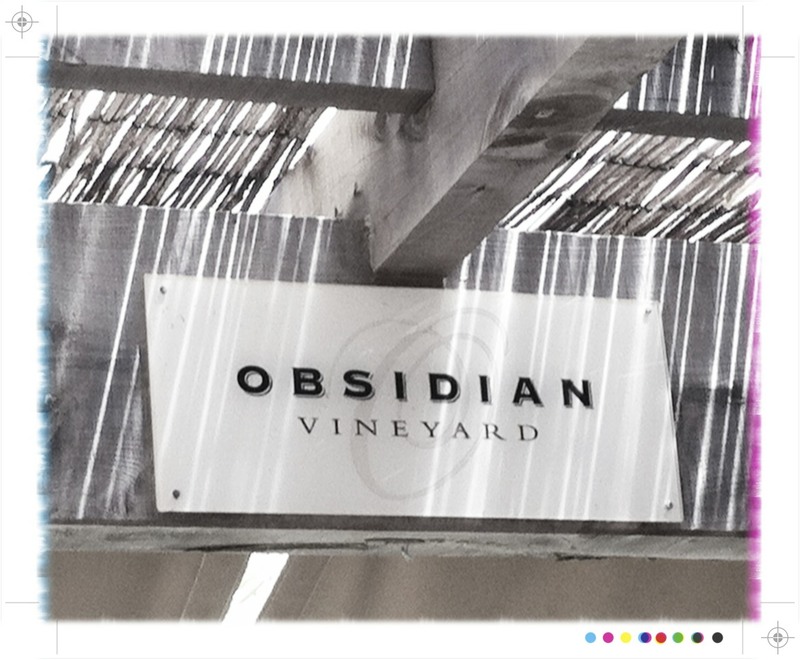 Obsidian also produce Weeping Sands wine, which is a literal translation of Onetangi, the stunning beach just down the road from the vineyard. In Maori "One" means sand and "Tangi" means weeping, murmuring or mourning. A few bottles of both made it safely back to Auckland. 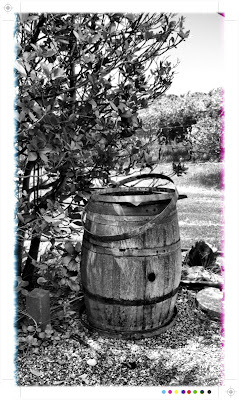 Next on the wine trail was a trip down to the far eastern end of the island to the newly opened Man O'War tasting room. 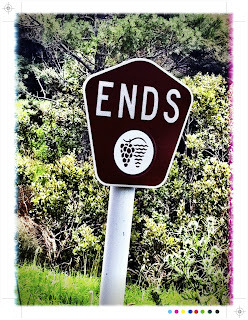 I love it down at this end of the island, off on the unsealed roads, a little more deserted, a little more rugged. If I could live on Waiheke it would be down this way, away from it all, but only a little bit away from it all! 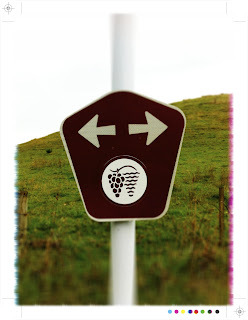 Man O'War Station spreads over 4500 acres as of coastal farmland and grapes were first planted back in 1993. 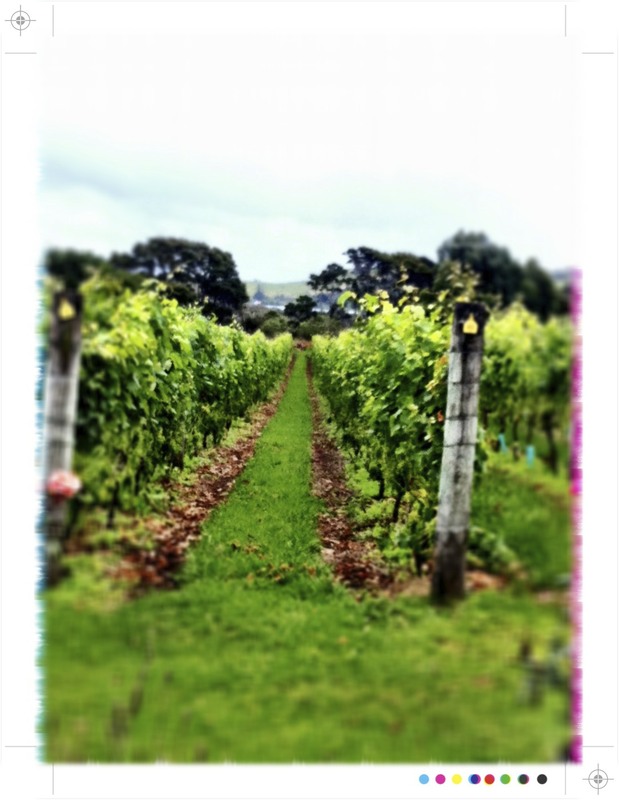 90 pockets of vines now grow on these coastal hillsides, each block planted to its best advantage to produce some more of my favourite red tipples, Dreadnought and Ironclad. The locally produced bubbly is also quite delightful. 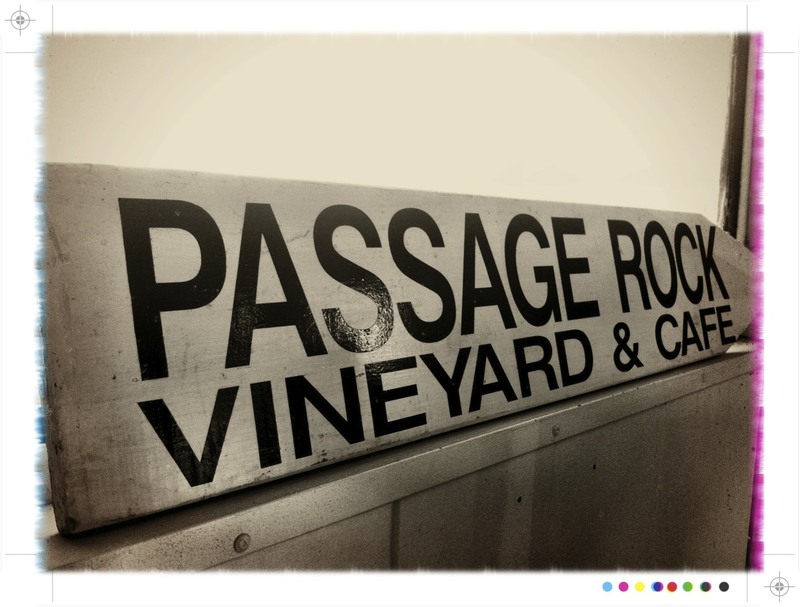 Back on the road and a quick pit stop at Passage Rock for some of there multi award winning syrah. Vines of merlot, cabernet franc and cabernet sauvignon were first planted back in 1994 at the head of Te Matuka Bay. 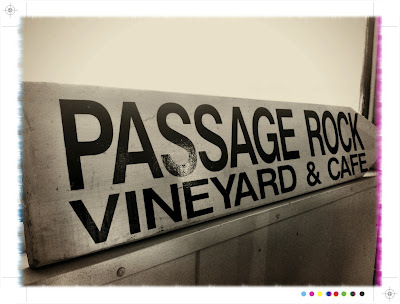 Thankfully they bucked the trend and added syrah in 1996 and now Passage Rock Syrah consistently wins award after award. After all that driving around time for a spot of lunch at Poderi Crisci, again at the eastern end of the island and Italian influenced being owned by the same people that own Non Solo Pizza back on the mainland. 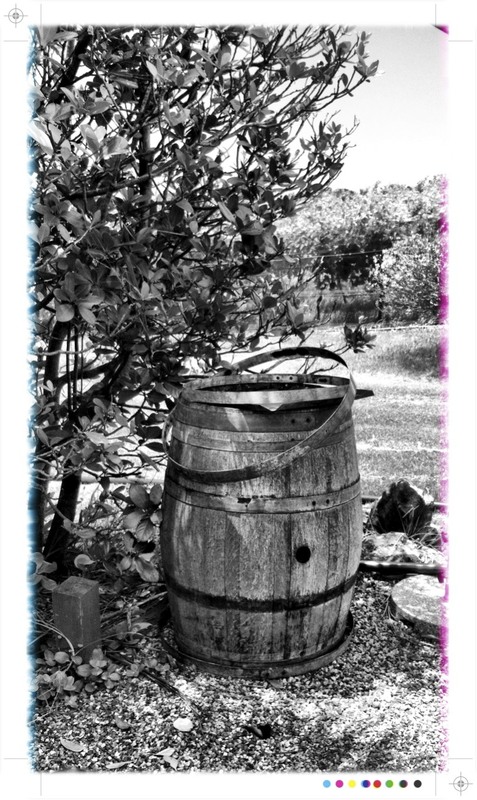 It is a beautiful spot surrounded by vines and olive trees. If you are wanting to come for lunch do as the website recommends and book ahead. We didn't, but were lucky to be squeezed in...just. After a bit of a slow start, once we were ensconced at a table and food and wine ordered things picked up. 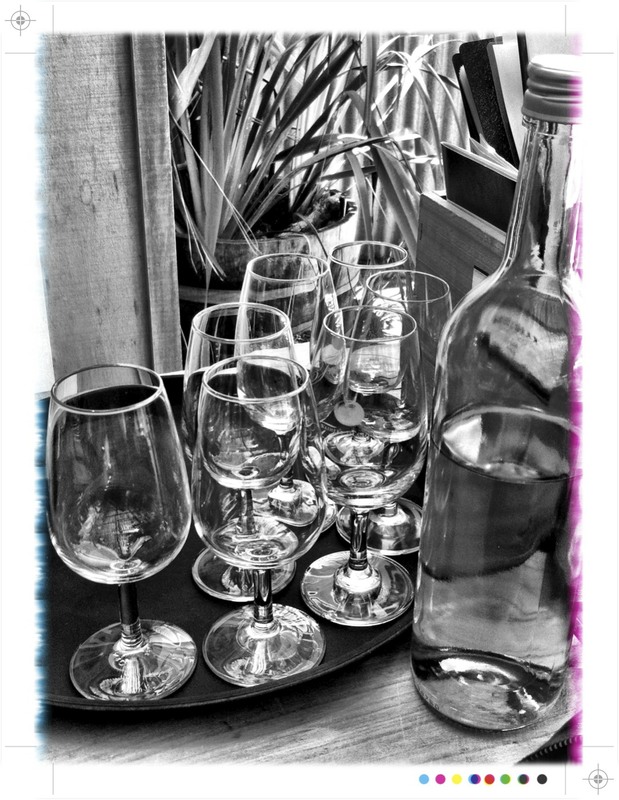 Lots of anti pasti on offer so perfect for sharing and allowing one to taste several dishes. Home baked bread and Poderi olive oil to start and then to share some prosciutto wrapped asparagus and frittata from the Salumeria cabinet. 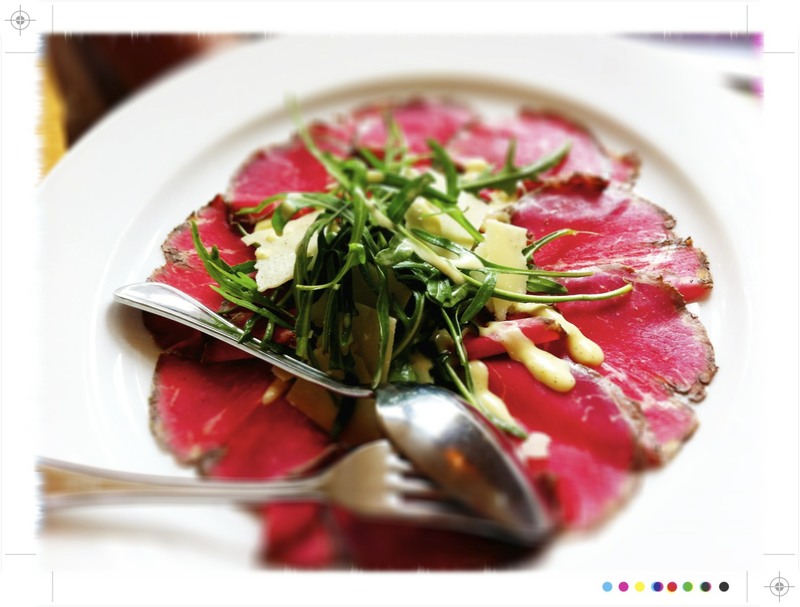 That was followed by Carpaccio di Manzo; Herb smoked beef carpaccio with rocket, Parmesan and Poderi dressing and the classic Caprese salad; Buffalo mozzarella, tomato and basil drizzled with Poderi Crisci olive oil. 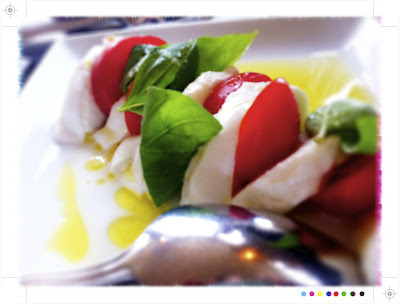 The beef just melted in your mouth and caprese was as it should be, creamy mozzarella, sweet tomatoes and fragrant basil. I would certainly love to go back one Sunday for the long Italian lunch. And that is only a soupcon of what is on offer on Waiheke...so that leaves plenty of reasons for a return visit to the island of wine. Makes me want to be there - now! Haven't been to Waiheke for years - time for another trip this year. You should try & catch a little of Summer! Just gorgeous! We are buried in snow so viewing your photos was a lovely escape. Have a wonderful weekend! Thanks Hannah, you have a lovely weekend too! There is something about vineyards that are incredibly romantic yet earthy. 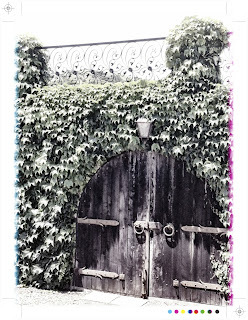 I love them and love this post where I've been able to travel there without leaving home. 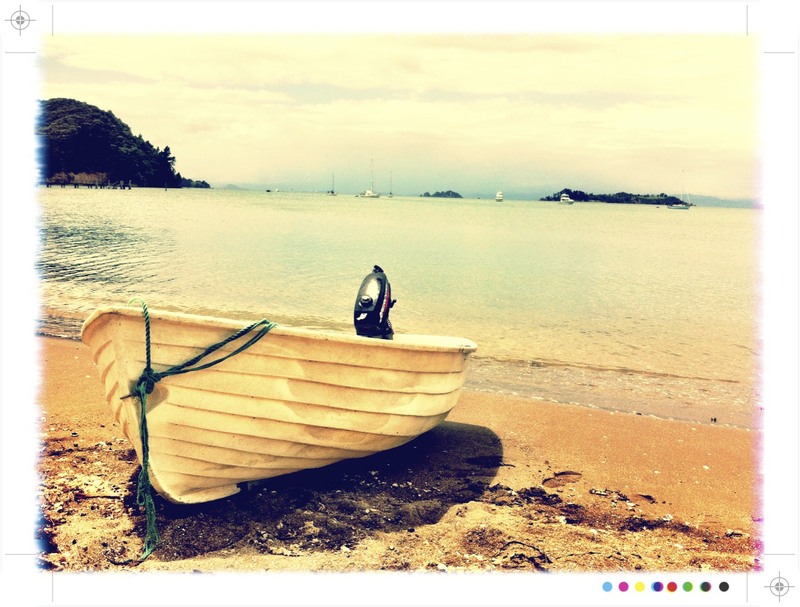 Waiheke is on our next holiday spot when our parents visit next. Hopefully that won't be too far away. Yes I love vineyards too...at any time of year they can be quite captivating. 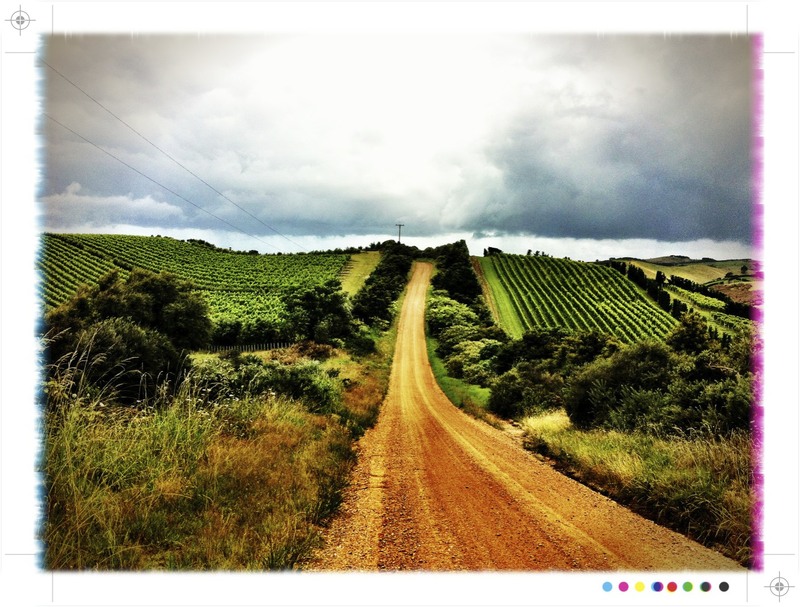 Make sure to swing on by Onehunga en route to Waiheke! Another great trip :) Now on to planning our next adventures! A great weekend in Waiheke.